The price tag is a bit high at $6.99 but definitely an app you’ll be using every day. Ego gives you one central location to check web statistics that matter to you. 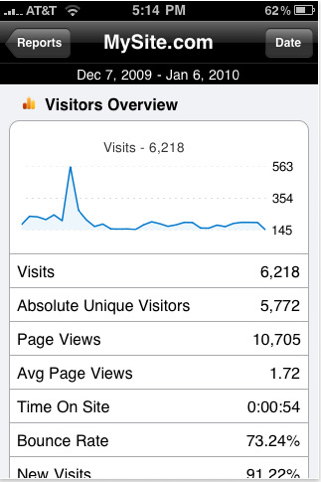 With support for Ember, Feedburner, Google Analytics, Mint, Squarespace, Tumbler Twitter and Vimeo, you can quickly view the number of visits to your website (including daily, hourly, and monthly numbers), feed subscription totals and changes, how many people are following you on Twitter and more. This app is a great value at $1.99. Seesmic is a Free App that lets you update and view multiple social networks in an efficient and powerful interface. You can manage multiple Twitter accounts, your Facebook page, a Ping.fm account (support for Wordpress, Tumblr, LinkedIn, Blogger and more) and organize it all in a customizable dashboard. This is a great tool for updating your followers, customers and business associates on your latest project or log post. SEO Pro is an essential tool which allows you to monitor you SEO progress effortlessly. The app monitors Google Page Rank, Alexa Rank, Yahoo Inlinks, Yahoo Indexed, and daily changes to rankings. The app also lets you quickly view meta tags. You can keep track of unlimited URLs. The free version of this app only supports tracking of 1 domain and includes ads, the $1.99 version supports unlimited domains and there are no ads. This one could use some work, but it’s a Free App so I tend to forgive its shortcomings. 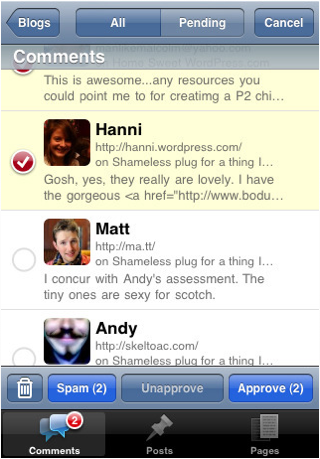 The Wordpress app allows you to easily manage your WordPress blog from your iPhone. You can moderate comments and create or edit posts and pages. I’ve personally used this app to fix a few typos from the road and even published an entire blog post over the 3G network. All in all a great tool to have in your mobile toolbox. Search Engine Marketing is a passion. I'm always staying one step ahead in the ever-evolving Search Engine Marketing industry. Whether reading industry blogs, testing advanced pay-per-click strategies or brainstorming with colleagues, I'm constantly searching for the next tool, platform or idea that strives to change they way people search, shop and connect online.